IKEA Kitchen Cabinet Update: How we feel about our IKEA kitchen 2 years later. Posts on this blog contain affiliate links to some products mentioned. It has been two years since I took these pictures of Eddie putting together our IKEA kitchen cabinets. I still get quite a few emails asking how we like our kitchen and how our cabinets are holding up to everyday wear and tear, so I thought an update post was in order. I have hesitated to share the finished pictures of my kitchen on the blog because it certainly isn’t “Pinterest perfect.” We haven’t finished building our range hood and we still haven’t installed a backsplash. But I know those are dumb reasons to keep from sharing our real life with you, so here it is- fingerprints on the refrigerator and all. We purchased about 70% of our kitchen from IKEA. The cabinets, sink, faucet, and many of the appliances were purchased there. The flooring, counters, hardware and refrigerator were bought from other stores. In this post I will walk you through the pros and cons of our IKEA kitchen. When we were building our house I knew I wanted white Shaker style cabinets. IKEA offered the most affordable option with the best warranty in that category by far. That’s true. I really do like the drawers. They are metal and they are deep. They are strong and they hold a lot of stuff. We were able to get all of the custom features we wanted within our budget. I wanted a pull-out trash can, a panel-front dishwasher, a separate oven and cooktop, and a double bowl farmhouse sink. I also wanted a large island with outlets in either side. And I wanted my microwave to be built-in, but away from the stove, so it wouldn’t be in my face when I was cooking. We bought our kitchen during IKEA’s 20% off sale and saved so much money that we were able to afford to get everything on my list, plus additional cabinetry to do a built-in wet bar in another part of our house that hadn’t even originally been in our house plans, and we still stayed within our budget. Plus, we were then able to afford Corian counters instead of the laminate the was originally in our builder’s quote. Out of all of the online planning tools that I tried to use throughout our house-building process, I found IKEA’s kitchen planner to be the easiest to use and most accurate. I really appreciated their larger options for over-the-refrigerator cabinets. We have very high, vaulted ceilings in our great room (the area that the kitchen opens into), and I wanted tall cabinets anyway. But it is a personal pet peeve of mine when cabinets over the refrigerator are sunken back, impossible to reach, and short. I think it looks dumb and it’s not practical at all. We were able to put electricity in the sides of the island by covering the sides with panels of bead board. Normally IKEA islands have a seam that runs vertically down the side if you are butting two sets of cabinets back to back, like we did in our large island. We couldn’t set our cabinets that close together because we had to leave a gap for the plumbing for the dishwasher. The bead board was an easy, inexpensive solution to cover the gap between the front-facing and rear-facing cabinets in our island. We took one of the cabinet doors to Lowe’s and had the paint department color match it. They did a beautiful job. Then we painted the sides of the island to match the rest of the cabinets. Another thing I love about the IKEA cabinets is the hinges. The slow-close feature that costs so much extra at all of the other retailers came as a very affordable upgrade on my cabinets. I also really love that the garbage can and the dishwasher are hidden. I think I said that already, but it’s worth repeating. I LOVE my sink. Love it, love it, love it, love it. I would buy it again and marry it. It’s the DOMSJO double bowl white farmhouse sink. And if you have priced any other double bowl farmhouse sinks, you know there is no way you are finding another one for $300 that comes brand new with a 25 year warranty. My sink is huge. Each side fits a million dishes, huge pots, and I like that it is divided. It’s also deep, but no too deep. We also bought our dishwasher, stove, oven, and microwave from IKEA and so far (knock on wood) we haven’t had any issues with any of them. There are tons of affordable customization options for inside of the cabinets, under cabinet lighting, etc offered in the store as well. Ok, let’s move on to the cons. Are you ready? I have to be brutally honest. Just because you have successfully put together IKEA furniture does not mean that you are prepared to assemble an entire IKEA kitchen. It is a very complicated and sometimes frustrating undertaking. I felt very fortunate that Eddie is a professional engineer and we had a contractor and crew on-site during this process. Even then, and even working in a brand new, totally level space sometimes we ran into complications we didn’t anticipate, like the kitchen planning software not taking into account that we would need a space for the dishwasher plumbing in the island, which would therefore leave a gap between all of the other cabinets. If I had taken on this project by myself I 100% would have given up and hired someone to do it for me. (I say that as a woman who has confidently designed and built her own furniture and knows how to use power tools.) Know your limits. This probably is not something you can do by yourself in one weekend. We had to think about what to do with the cabinets while our house was being built. Since they had to be stored somewhere and we were renting a small, temporary apartment at the time, we rented a storage unit to keep them in. That was an additional expense and kind of a pain. We would put together each cabinet at our rental apartment, then drive it over to our storage unit for safe keeping. We were under a time crunch to get all of the cabinets put together by the time that the construction crew was ready to work on our kitchen so that we wouldn’t slow down the progress on the rest of our house, so that our new house would be finished in time for us to move out of our rental apartment when the that short-term lease was up. This is just a matter of personal taste, but I am a little bummed that the new gray IKEA cabinets were not an option when we were building our house. I really like those and I might have chosen them, at least for an accent or in the island. There is no white base board option for under the dishwasher. The only way to get the trim flush would have been to take the black trim off of the bottom of our dishwasher and my husband didn’t want to take apart a brand new appliance, so we left it like it was. That means there is a small gap in our trim under our dishwasher. That’s really a very minor complaint. I actually forgot about it until I saw the pictures I took today. As much as I love my sink (and I do!) I have 2 complaints about it: The first one is that it is really hard to clean all of those decorative ridges in the top. The second is that I don’t love that there is only one hole and therefore only really one option for a pull-down sprayer if I want a faucet with a sprayer in my kitchen, which I do. I really prefer to have a separate sprayer so that we can attach a water filter to the faucet for our drinking water. IKEA faucets (even the one on my wet bar) don’t seem to be compatible with Brita or similar water filters. I really, really like my kitchen. I don’t have a lot of negative things to say about it, other than it’s not quite finished yet. I can’t blame IKEA for us never getting around to installing a backsplash, but I do wish they had some nice wooden decorative range hood options to match the cabinets. I really hate the industrial style metal ones they have in the store. They don’t match the Craftsman style look of the rest of our house at all. I don’t even really love my stainless steel appliances, but I married an engineer who does like that look, and I didn’t want an entirely white kitchen anyway. In regards to the rage hood, right now we are stuck building something custom and we just haven’t gotten to that yet because we are busy parenting three small kids. I know our kitchen looks like the kitchens in the IKEA showroom, which is a negative if you go by the comments on lot of message boards, but honestly I don’t really care because I like the kitchens in the IKEA showroom. We did get around to building a wooden range hood. I love the way it turned out! the kitchen looks like it’s been put together perfectly. Sounds like whoever designed the flat pack instructions stuffed up, and forgot to throw some curve balls in it. I would like to have seen a picture of the sink. Thanks for sharing your experience with IKEA kitchen cabinets. Am planning to re do my kitchen. I feel better now. I will hired a handyman for sure. Your kitchen looks great. We’ve had our IKEA kitchen now for 9 years and everything still works great. All the doors and drawers are still looking and operating like new. We did the whole remodel ourselves and the only issue we encountered was not being able to find a couple of the cabinets we wanted in stock at the time. We opted to purchase all the appliances elsewhere though. Thanks for posting a follow up! How have the cabinets held up to daily use? Any warping or flaws in the finish yet? 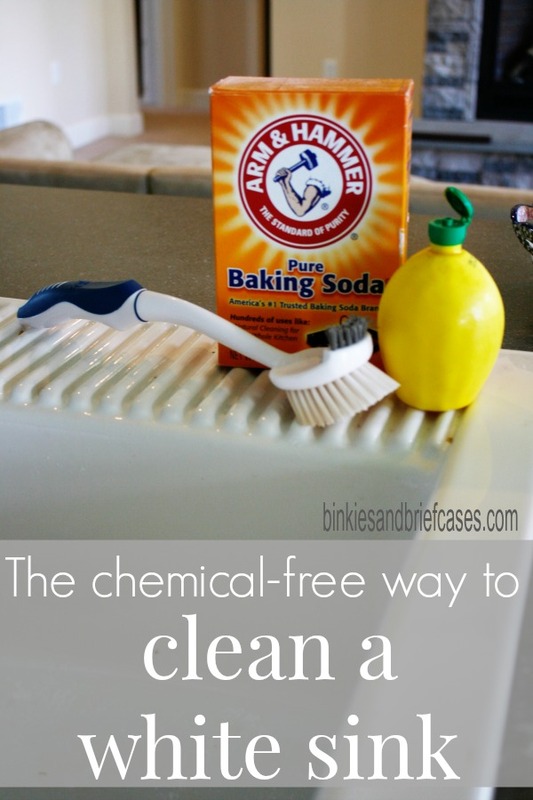 Especially around the sink or stove or oven? I have been considering a white IKEA kitchen for a few years, but am worried that in five years, the kitchen will look abused (not that this is a substantiated fear, but still). I’d love to hear about the durability. Thank you and great job in the kitchen. It’s beautiful. Our cabinets have only been in use for two years, but no, there aren’t any flaws in the finish or any warping yet. I’m happy with them. Thanks for the heads up on how to keep a white sink clean. Very good advice. How did you go about deciding between drawers and doors? Do you feel that some things are easier to store in one or the other? Actually my aunt always makes that recommendation. She has terrible back problems and has had to design their kitchen to accommodate her needs, and since she has had hers done my uncle has helped several disabled friends remodel their kitchens so that their lower cabinets are all drawers. Because they pull out, you never have to go digging in them. They come to you instead of you going through them. That also makes them easier to organize and for me to know where everything is. We plan to grow old in this home, so I wanted something that could accommodate us if our needs change. I do have one very tall soup pot that I keep in my pantry because it doesn’t fit in my drawers, but that doesn’t bother me at all. If space was very, very tight, I might have gone with a combination of more cabinets and drawers. But I personally think deep drawers are an overall better use of space. We did our Ikea kitchen about 2 years ago as well! I LOVE our remodel and the cabinets, everything is still going strong! We are similar to you in that it has taken us a while to finish up that last 10%. Its hard to find that motivation when it’s functional. I also wish I had taken some more time to figure out exactly what I wanted. I felt pretty rush picking out finishes and in the end, I would have loved to have gotten a solidstone counter instead of laminate, but we couldn’t justify the cost being in a condo- also, I HATE OUR BACKSPLASH! I wish I had looked around more and found something I LOVED. We still have to finish our hood and our trim (crown on the tall cabinets, filler pieces on one side, etc) I also want to convert one of our cabinets to a garbage pullout. I had one growing up and didn’t want to give up the storage in our small kitchen, but I despise looking at the trash every single day. I love your kitchen and your 10 things to remember when building. Our home was custom built 26 years ago and it is time to remodel. My kitchen cabinets are still in great shape but I need the doors and drawers refaced. My question is: does IKEA do cabinet refacing building and installations? Sure hope so because I love your final product. Hi Robin. I am sure it can be done, and you can probably search and find some blogs where other people have done it. But I imagine it would take some creativity to retro fit them because the IKEA system is quite a bit different than your average door hinge or drawer slide. Thanks for sharing! I have a question for you. 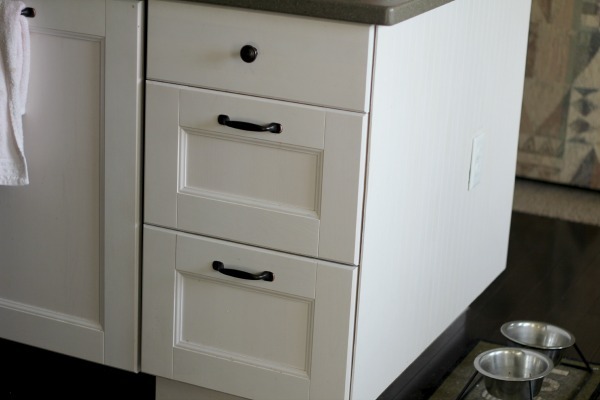 When you purchased your white cabinets, did you have to buy white panel cover for the outsides of them, or were you able to just skip that part since the cabinets are already white? Hi Rachel. We did buy the panels for the exposed ends so that all of sides you see would match the cabinets. Otherwise the white part that is exposed is not the same finish, it is more of a shiny white lacquer, while the finish on the panels looks more like a hand brushed painted maple. Even though they are both white, they actually don’t match. I hope that makes sense. Thank you SO MUCH for this post. I love Ikea’s designs, but I’ve sat on their sofas so obviously am wary of their large pieces. This is helpful not only for me but for my clients, so I can provide them with a little more knowledge when they ask my opinion. Very informative. Thank you! I’m so sorry to hear that. We haven’t experienced any yellowing since installing in 2013. Do you think it might be due to a cleaner you are using on the cabinets? Hi , I’d like to consider an IKEA Kitchen again the drawer cabinets i had lasted we’ll and I loved the dark green glass front. Problem is I wanted to add a row of cabinets 5 years later and they no longer had that style. They change up a lot I’m worried about being able to replace or add. What do you think? Hi! Thank you so much for reading. My husband was just talking about this too, actually. Yes, that’s true, replacing the cabinets a few years down the line can be tricky because the styles do change frequently. Is your cabinetry white or off-white? I went to Ikea recently and was disappointed to see that all their white cabinetry had flat front with detail. Hi! Thank you for reading! Our cabinets are white. We built our home around 2013. I think IKEA might have come out with new styles recently.